Situated in Diamond Beach, this aparthotel is within a 15-minute walk of Seashells Beach and Diamond Beach. Black Head Beach is 3 mi (4.9 km) away. 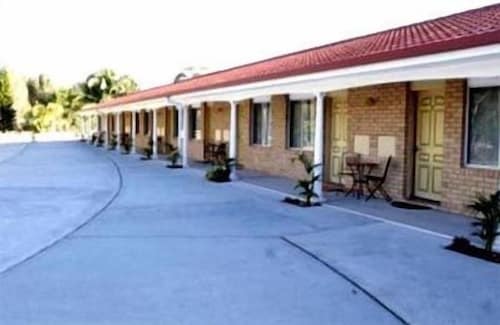 Located in the heart of Taree, this motel is within 1 mi (2 km) of Queen Elizabeth Park and Manning Base Hospital. Taree Station is 17 minutes by foot. Situated near the beach, this luxury bed & breakfast is 4.3 mi (7 km) from Taree Central and 7.1 mi (11.4 km) from Old Bar Beach. At the centre of the Manning Valley sits charming Taree on the banks of the Manning River. Situated halfway between Coffs Harbour and Newcastle, Taree is a major mid-north coast city that sits sandwiched between the best of both worlds: beautiful rolling hills and superb coastal beaches. Wot more could you want? 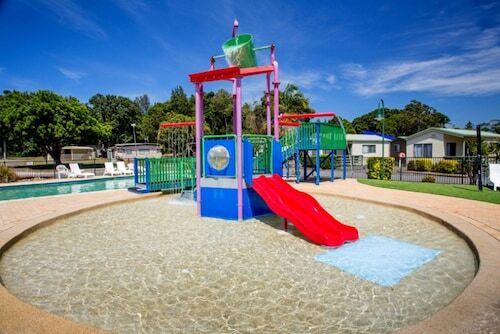 Book your Taree accommodation with us today! Originally occupied by the Biripi Aboriginal people, Taree gets its name from the native word "tareebit", which means ‘tree by the river’, or more specifically refers to the Sandpaper Fig. Despite the first official land grant being made to William Wynter, who settled in the area in 1831, it took a long time for Taree to take off. With Taree’s neighbour Wingham the highest navigable point on the river further upstream, it stole the spotlight as the administrative centre of the region. But like many river towns, the opening of the Martin Bridge across the Manning River in 1940 proved a major turning point for the township to flourish. Today, Taree is the major commercial centre of the Manning Valley. A wander through the town, including the CBD, still nods to its historical roots. Many beautiful historic buildings are still standing, including the Taree Public School, St Pauls Church, Taree Court House and St Marys Catholic Church. The Taree Heritage Walk offers a self-guided tour of the highlights of the city, including both man-made and natural places of significance to the town’s existence. Taree is also home to the Manning Regional Art Gallery, and the Manning Entertainment Centre – the region’s cultural hub showcasing everything from amateur theatre to national performing arts productions. If you happen to be around on the third Saturday of the month, be sure to wander through The Hub Community Markets, where friendly locals congregate around the 80 stalls offering clothes, fresh produce, artwork and all the unique finds you can expect of a country market. One of the best things about Taree is its location and the access it provides to the entire sprawling Manning Valley region. Get a map and discover the tranquil waterside expanses of the Brimbin Nature Reserve, the Coorabakh National Park (home to Ellenborough Falls), and the gorgeous Tapin Tops National Park. For more blue and less green, don’t miss the long glistening shores of Diamond Beach, the coastal villages around Wallabi Point, or Crowdy Head Lighthouse – an ideal lookout for whales and panoramic ocean vistas. Of course, to see the best of the region, a set of wheels is a must. If you’d prefer to arrive by bus or rail though, hire cars are available in Taree. 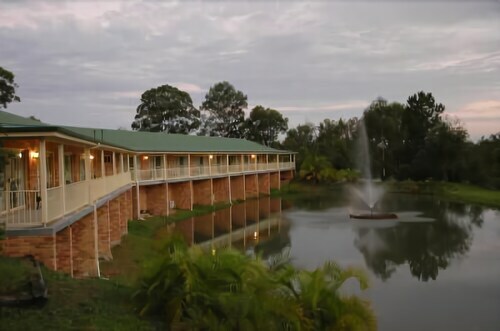 Just book your Taree hotel and you’re all set for a wonderful holiday in the peaceful Manning Valley! How Much is a Hotel Room in Taree? Hotels in Taree start at AU$85 per night. Prices and availability subject to change. Additional terms may apply. Cabins were clean, well appointed and very comfortable. Staff were lovely, we arrived after hours and nothing was too difficult for them. Beds were comfy. Highly recommended this Park, we will be back!